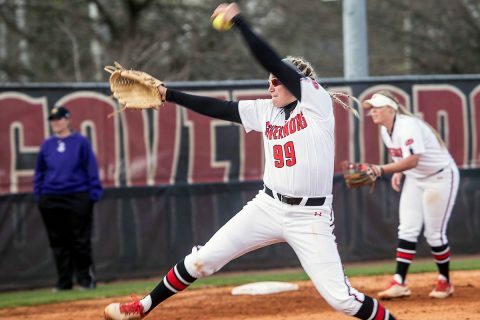 Lafayette, LA – Senior Morgan Rackel recorded her second career no-hitter for Austin Peay State University (APSU), Sunday morning at Lamson Park, in the final day of the 33rd Annual Louisiana Classic as the Govs picked up a 1-0 victory over Jackson State. 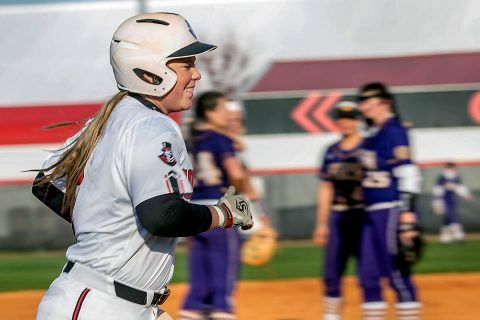 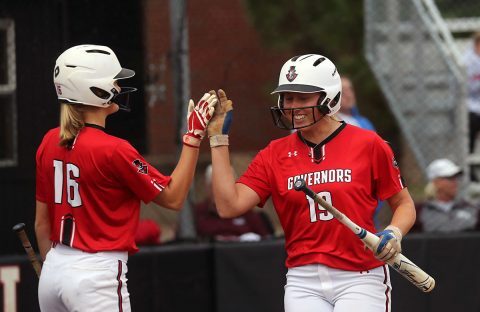 Lafayette, LA – Austin Peay State University’s Morgan Rackel and Danielle Liermann combined for seven hits and seven RBIs, Saturday at Lamson Park, in Day 2 of the 33rd Annual Louisiana Classic as the Governors defeat Jackson State 12-2 before falling to 13th-ranked Louisiana, 8-0 in the nightcap. The tournament concludes Sunday, with the Govs facing Jackson State in the consolation game starting at 10:00am. 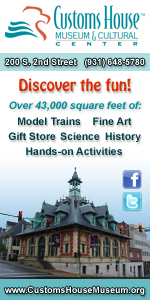 Lafayette, LA – Despite putting a scare into the No. 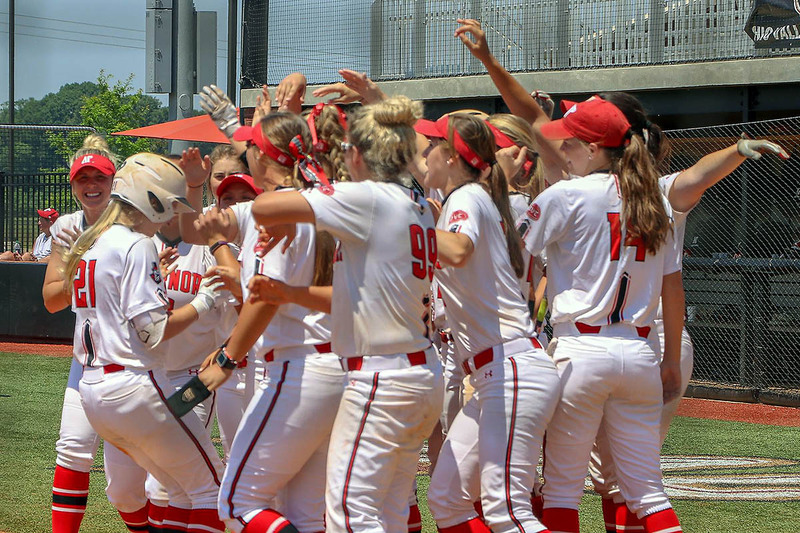 13-ranked Louisiana Ragin’ Cajuns, Austin Peay State University’s softball team dropped a pair of games to open the 33rd Annual Louisiana Classic, Friday at Lamson Park, falling to Stephen F. Austin, 5-1, in the opener before being edged by Louisiana, 2-1, in the nightcap. 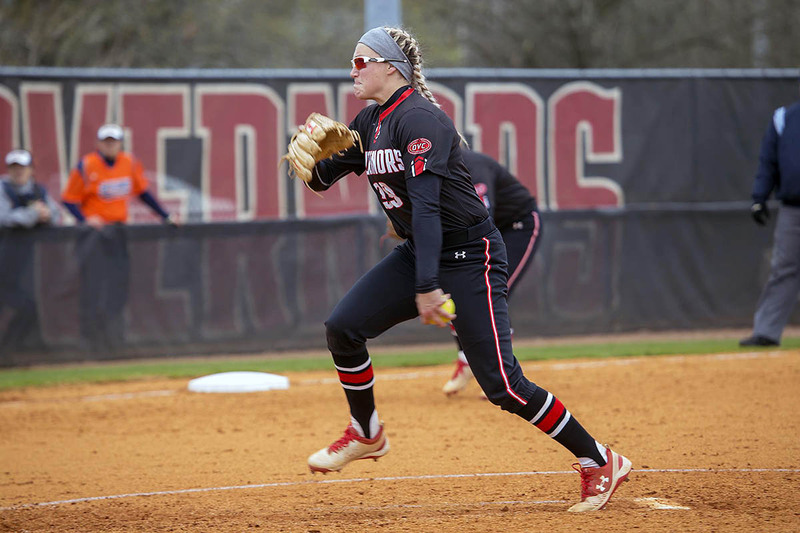 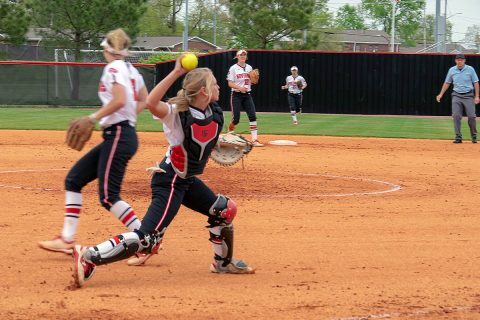 Clarksville, TN – The Austin Peay State University (APSU) softball team will face its first nationally-ranked opponent in two years, this weekend at the 33rd Annual Louisiana Classic, as the Govs look to build on its season-opening success. Clarksville, TN – The Austin Peay State University (APSU) softball team returns 18 letterwinners for 2019 – including six seniors – and will need every bit of experience it can muster as it faces a stiff regular-season schedule that includes nine teams that saw post-season play past their conference tournaments this past spring.